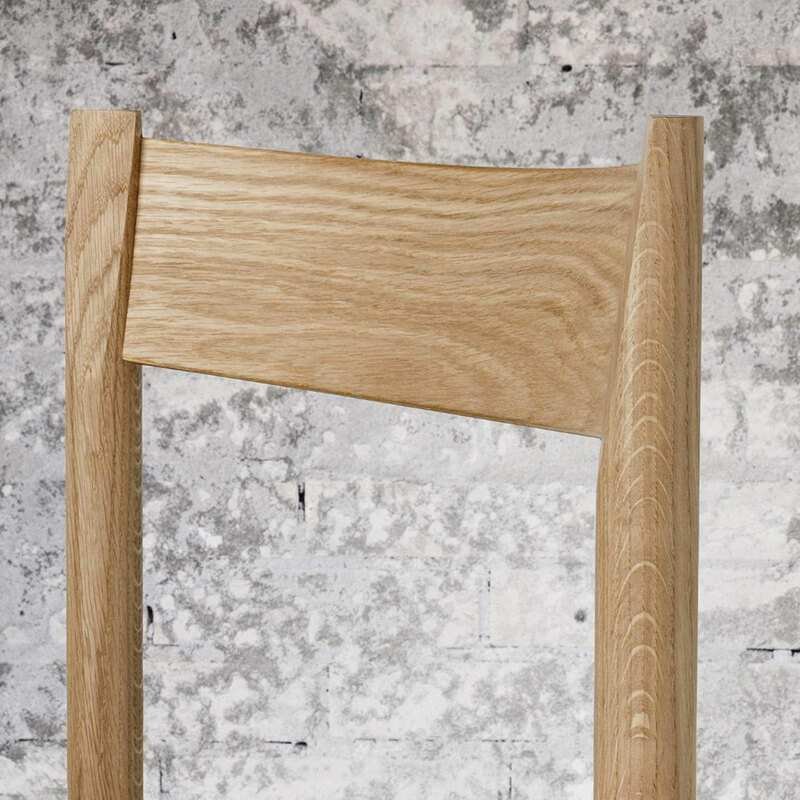 The F chair is a contemporary shaker chair based on the virtues of traditional craft. 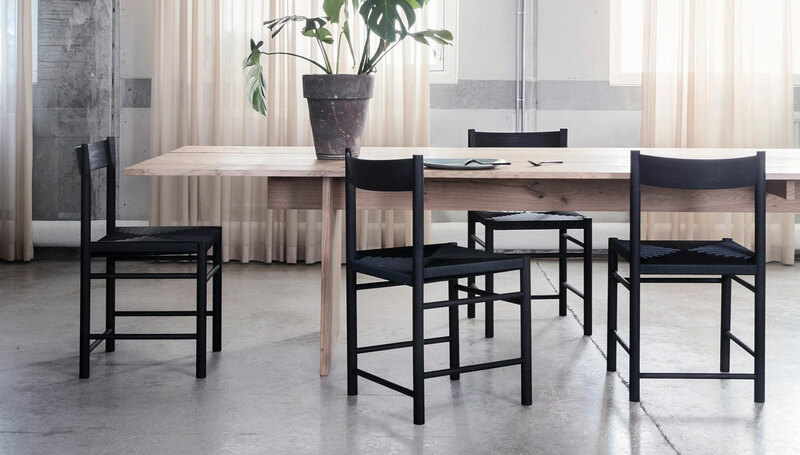 It carries on the folksy simplicity and honesty of the archetypical shaker chair, but with a modern comfort and a clean- cut, geometrical and minimalistic appearance. Danish furniture artist/designer Rasmus Bækkel Fex and Brdr. Krüger have reinterpreted the design of the shaker chair in a close cooperation and shared aspiration to explore archetypes and materials with an open mind. 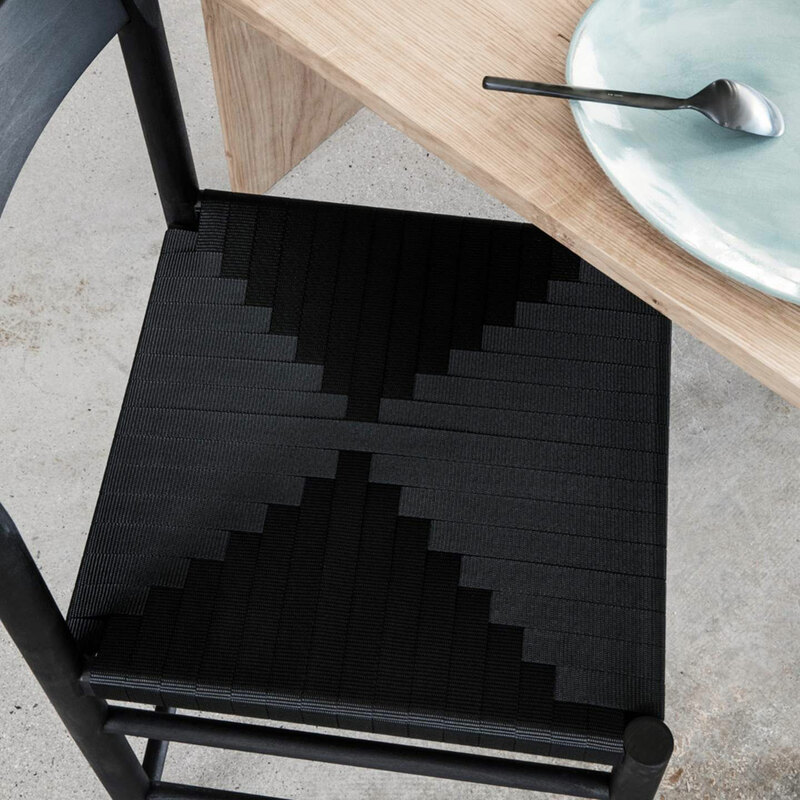 The outcome is a modern ascetic take on tradition, where wooden craftsmanship and woodturning skills are contrasted with a seat constructed from industrial polyester webbing, hand-weaved to create a bespoke geometrical pattern. 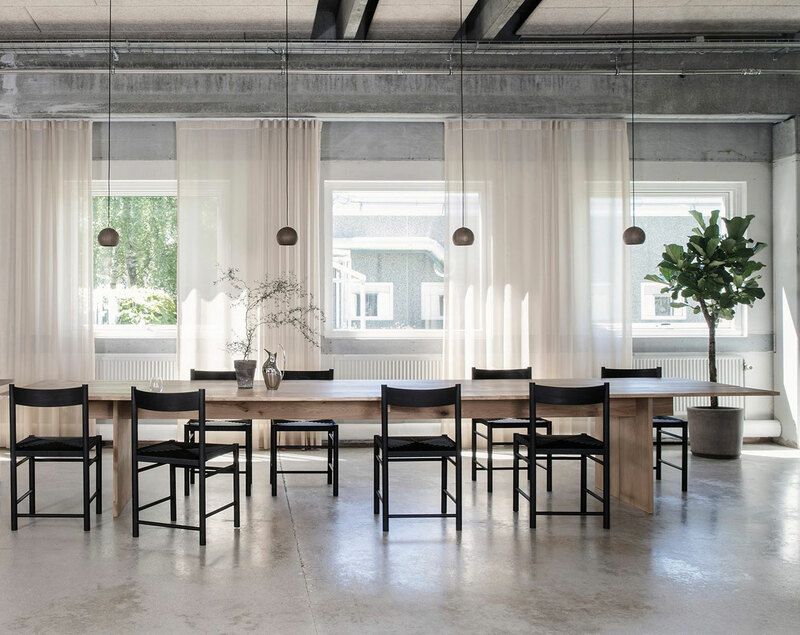 The use of polyester showcases the subtle beauty of the industrial material, while the webbed seat changes character as it reflects the surrounding light. 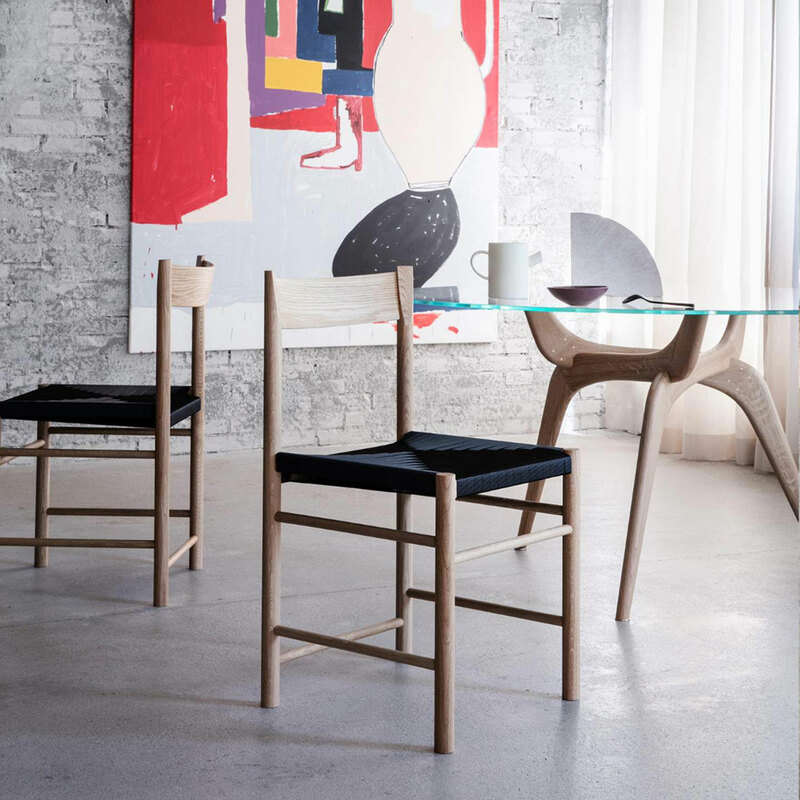 The name ‘F’ refers to the chair’s ‘Folksy’ origins, the designer’s surname ‘Fex’, and a typographic interpretation of the chair’s profile. “In 1886 the Krüger brothers Theodor and Ferdinand founded a woodturning company in Copenhagen. Time has changed, yet the company’s dedication to craftsmanship and passion for wood hasn’t changed a bit. Brdr. Krüger was originally a woodturning workshop and has now become a self-producing design company where the commitment to quality and craftsmanship has been nurtured for five generations, ensuring the same high quality in every single piece that leaves the family-owned workshop.